Damage changed fromÂ 60/90/120/150/180 [+0.2 Total AD] toÂ 50/80/110/140/170 [+0.4 Total AD]. The Chinese splash invasion from the last PBE updateÂ continues with 14 more artworks. New icons for the teams participating in the MSI tournament have been released on the PBE. As always, they’ll likely be in store for 250 RP and a portion of the proceeds will go to the respective teams. [ Note ] I’ll continue to update this article as more teasers are revealed. The teaser is titled “DeadEye” and the page source references similar teasers for Garen, Sona and Vi. I didn’t do these change, but if Juggernauts release on the strong side, Zed’s going to need the buffs. Those guys just wreck him. Honestly, I don’t know if there’s anything sadder for Zed than being the Villain. Edit: this was a bad joke on my part. Zed getting buffs has nothing to do with Juggernauts. He should be weak against Juggernauts. He should be strong against squishies. And I should re-read posts before pressing Save so that I don’t give people the wrong impression as to why he (or any other character) might be getting changes. Aren’t the proposed buffs to Zed to reduce the blink-back time on R with rank? This seems like a pretty sound approach to me, tbh. .75 and .5 seconds are long enough in the early and mid-game for a single defender to hit some cc on him when he comes in, and though .25 seconds is pretty short, there should be teammates around to help then. At the end of the day, Zed is probably supposed to be pretty strong against immobile skillshot mages, similar to how juggernauts are supposed to be strong against him. The juggernaut reworks aren’t at all being released to help counter Zed. My apologies if that’s the impression I gave. As an assassin, Zed should be strong against squishy targets. They should have a fair chance to defend themselves (especially early in the game), but the upper hand should probably be his. We’re putting a bit of power back into Zed and Le Blanc in 5.16, in both cases partial reversions of the previous nerfs, they got hit harder than intended. 5.16 also includes an overall nerf to Ahri’s passive (same healing at level 1 and level 16, less healing at the levels in between though). Fizz we’re still talking about. He’s a possible candidate for work in 5.17, depends in part on how 5.16 goes though and how the state of the game does or doesn’t change. Though I personally don’t know why the ban count is three instead of 4 or 5 or even 2, what has actually changed recently that would make it so that you now need 2 additional bans per team? I could see the size of the roster growing being a reason, but it’s really not THAT much larger than it was at the beginning of the year. I actually think that having another ban or two could be cool, but mostly for reasons that are due to my own personal preference, and not necessarily because I think it makes the ranked play system any better. Even in the example you provided above, assuming those champions are ban worthy, the two captains could still only ban 10 of those 13 champions, and there would still be 3 left over. And of course, there would be all the champions that every other player in the game thinks are ban worthy that did not get banned, so it’s hard to tell in that case if we’d really be any better off. One thing that would be especially painful about having 4 more total bans during the ban phase is how much longer each Draft Queue game would take. It may not sound like a big deal, but champion select already seems to drag on an eternity sometimes. I guess at the end of the day, I’m not really sure if we’d better or worse off with more bans. Maybe a different ban system entirely would be cool, like one where everyone in the game gets to ban 1 champion in the first thirty seconds or something. That would be faster, though it would come at the cost of ban overlap or team miscommunication getting a team off to an unfriendly start. Maybe ranked 5s and competitive play should be using a different system than solo queue; not sure entirely. We were talking internally about some adjustments to the draft phase of champ select about a year ago, but I’m not sure any particular idea stuck out as the right solution. It’s probably something worth exploring some more, since it is a part of every draft queue game we play. Yeah, I didn’t mean to suggest necessarily that this is a new problem this year. With that comment, I more meant to suggest to ask OP why the need was so dire now as opposed to before. I definitely agree that it would be great if the draft system was better suited for building out team comps better as a team and banning out stuff that threatened it rather than just banning the fotms. About it being lackluster, that’s certainly not the intention. If the reward just isn’t there, that is something that can be easily addressed. If it’s that they’re tedious, maybe the channel time is too long or some of them are just too far out of the way to be useful. As per your suggestion, one of the things I actually think is really important to them is their static positions. It gives Skarner players, teammates, and opponents an expectation as to how they’re going to play about them in any given game. This is important to me because, even following these changes, we aren’t aiming to have Skarner be extremely popular and in every game. We’re okay with his niche appeal, and we just wanted to give a little more uniqueness to the games he’s in, as well as another point of mastery for Skarner players. Whether good or bad, his ultimate really isn’t that unique anymore, and it can’t really be made much more powerful, so we looked elsewhere. I think another thing that seems tedious about them is that players feel like they should be trying to control them all whenever possible, and that’s really not the intention. Played optimally, Skarner should try to control the ones he thinks he’ll need in the next minute or two, or maybe stop to cap one over when he’s nearby. There’s no bonus for holding all of them, so I don’t really want Skarner players making the choice to go activate a crystal in the enemy jungle when there’s a lane that needs ganking or something, unless maybe taking that crystal helps them steal a buff or do some counterjungling. I hope this helps to explain some of the reasoning behind the goals for his passive, even if it’s not exactly what you wanted to hear. As a follow-up, if you want to continue to help me understand what makes them ‘lackluster and a bunch of extra work for a sub-par reward,’ I’m happy to talk about it. Though some things are probably set in stone for the upcoming patch, that doesn’t mean everything is, and it doesn’t mean that I won’t be doing follow-up work on Skarner if he falls short in unintended areas. I am not my own manager, but I also do think I am capable of making positive change with the right effort and focus. You guys probably remember that Ashe got an update earlier this year? That was just an extra thing that I picked up on the side and then put together with the Champion Update team’s help, and I think it went really well. For me, I don’t usually find that one project is enough to keep me occupied, so I like having follow-up or other stuff to work on on the side. If a few months down the road, you think there’s follow-up that I’ve ignored or forgotten, please do hold me accountable to at least letting you know what’s up. Worst case, I’ll hopefully just be able to let you guys know what’s up, even if the decision isn’t what you want to hear. Leaving you hanging wouldn’t be cool, though. The crystals on the enemy side of the map start on their team, and they can’t get any gold from them unless they capture them. Technically, if you never went into the enemy jungle and left those crystals alone the whole game, they would never swap over to your team, and thus never present the chance for opponents to ever capture them for the small gold reward. I think that feeling of being compelled to reclaim it in all cases will go away after a few plays, and you’ll just focus on the ones that are going to help you in the foreseeable future. Additionally, even in the case that someone takes a crystal from you, you do get information as to there whereabouts if you’re paying attention, so it’s not all a loss. We actually agree that Skarner is probably the odd one out amongst the four releases coming up, but we’re actually okay with that. He’s more about CC than the others, and probably less about damage overall, but we don’t think it’s absolutely necessary that there be a single damage profile that these guys all adhere to. Skarner will probably function full time as some kind of off tank guy, while being a full on Juggernaut damage threat while under the effects of his passive. Good question. I’m on my phone more so I won’t be too wordy. First, we don’t actually consider Nunu to be in the same class as Skarner, in that Skarner is intended to be more of a damage presence than Nunu. If you wanted objective control, but needed damage still, I’d expect skarner to be a better choice. Also, Nunu controls objectives primarily through his secure combo, whereas Skarner through fight presence and power around the objectives. Less relevant, but still interesting, Skarner’s Impale will prevent Nunu from Smiling or Consuming, so he can actually shut that down if played well. Though historically we haven’t made many efforts to differentiate between tanks like Cho’Gath and tanky guys like Garen, we’re trying to establish that differentiation to some extent. Though we haven’t really investigated Cho’Gath directly yet, he falls much more toward the general idea of what a tank is. Durable, heavy crowd control, and low sustained damage (though his sustained damage may be too high for this to be true). Garen, on the other hand, is being pushed toward a much higher sustained damage pattern than he’s ever had in the past, to the point that we’re classifying him as a carry. I think we can probably agree that carries shouldn’t have a high level of crowd control, though it doesn’t necessarily follow that a 2.5 second silence is a ‘high level of crowd control.’ Maybe Cho does too much damage for a tank or is unfair in some other way (like his silence duration), but it’s probably not the best idea to reduce Cho’s silence duration because we’re reducing Garen’s, and it’s also probably not the best idea to think we have to leave Garen’s silence alone because there are other characters whose silences are longer. I will say this about the duration reduction on Garen’s silence. I lowered it to a duration that felt fair given the higher damage the character will now do. Is 1.5 seconds too low? Possibly, but it definitely wasn’t reduced because Riot doesn’t like silence. With his upcoming changes, we’re trying to put him in a spot where he can be seen as a real threat, and less of a guy whose usefulness falls off dramatically as the game goes on. If we’re not hitting that mark after his release, I’ll try to calibrate upward. This update aims to increase Garen’s affinity for Health items, and flat resistances are a good way to do that. Maybe this just reads as a nerf or something, but in almost all cases, it’s just not. I sure don’t think ‘scaling/stacking benefits are toxic,’ and if that was formerly our stance, we have changed a lot in the past few years, and the game has too. Overall, he should not be squishier, except in the case of full tank builds. As to ‘complete and utter gutting,’ that seems to imply the character is going to fall to a sub 45% win rate or something. With the changes going in, I’d be truly surprised if it was closer to 45% than 55%. I could be wrong here, but we’re definitely not aiming for a gutting, or even a nerf at all. If he comes out and proves to be weak, I’ll be happy to admit we missed the mark on him, and buff him up a bit, probably in places where we took some stuff away. I really do want to make his W active more interesting in the future, if I get a chance to come back to it and power permits. They should indeed be rewarded for getting on top of a target, and in most cases following the update, I’d expect a late game Garen to easily kill a late game Vayne in a 1.5 second silence if he manages to close the gap and get a silence off on her. Lane silence isn’t actually really an issue at all. It’s still the same at rank 1, after all. I understand that that’s an uncomfortable situation for you guys to be in, and I don’t mind talking having the discussion really. Since Garen went on PBE about a week ago, there were some changes that, following discussion with you guys, didn’t seem like the right changes, and I tweaked some and reverted others. That said, there are some changes that I think are important for hitting the goals of his changes, like being more about damage in the late game, and less about his silence. Though he will now do a lot of damage to a target, Garen lacks the mobility profile and target selection of a real assassin. Assassins get to blink or dash to where they want to be, try to kill a guy, and then get out, and they often have the tools to do all that. Garen has to run at a guy, stick to them for 3 seconds, and then run away. As such, I don’t really see him as an assassin. Garen does the baseline stuff of a Juggernaut (tanky, high damage, low mobility profile) with some additional assassin-like tendencies against a single, semi-random target. When I think about what these Juggernauts are, they should all be really tanky, they should all deal high damage to the enemy team, and they should all be relatively immobile, PLUS one or two additional differentiating aspects (Villainy, in Garen’s case). Maybe the “increased damage when hitting a single target” doesn’t send a perfect message, but Garen’s damage in teamfights should still be on par or higher than these other guys. I expect his aoe damage to still be really high despite that addition. If it turns out Garen is too strong following his update, I’d prefer to nerf his Q speed or base MS slightly over hurting his damage. There are a couple potential reasons that I could see to pick Garen (outside just liking him). First, he’ll still be a lane bully for several matchups I imagine, and picking to win your lane can often be a good idea. Second, relative to other tanky top laners, Garen will have possibly the best combined package of sustained speed, durability, and damage. Basically, he’s a good pick when you need a tanky damage dealing presence and you can anticipate fights that will move a lot. Strategically, he may be the perfect pick when you have a team that can support him (especially with speed buffs, like Lulu or Sivir) and the opposing team has only one or two damage threats (bonus points if at least one of them is a melee threat). This is the ideal pick scenario for him because the opposing team needs their limited damage dealers to get fed in order to win the game, and if they get fed, they become the Villain. Having that extra effectiveness against that Villain when the opposing team is heavily reliant on them can actually be a big deal. Another fun interpretation of where I think Garen is a good pick, though it isn’t strategicwithin the game is when you know the opposing team relies on a certain player to get fed in order to win. This could potentially translate to competitive play, though I think it’s more applicable and fun to pre-mades with friends. When you’ve got that one Diamond guy in your premade that you know is going to stomp a bunch of Silvers, pick Garen against him and show him who’s boss in the late game. This update doesn’t change the former. In fact, he statistically becomes slightly worse at getting to people. However, it is intended that he’ll have a huge impact if he actually manages to get to people now. Whether or not the exact numbers we have on PBE right now will perfectly accomplish that goal, that is indeed the goal, and I’ll work to get him there if he falls short of it on release. At the end of the day, Garen is never going to be able to compete with champions like Irelia, Hecarim, or Riven (this isn’t to say that any of these three characters are necessarily balanced either) when it comes to getting to specific targets, so he should be meaningfully more impactful than them in some way if he pulls it off. In his case, he’s just going to deal a ton of damage to things he sticks to. Light fighters (need a better name for this group – Highly mobile, builds almost entirely offense, often good at killing multiple targets, usually squishy with windowed defense of evasieness (e.g. Trynd or Fiora). Biggest contrast between tanks and juggernauts is in what each group is trying do. Tanks are generally trying to initiate or peel more, kill by themselves less. They build almost mainly (sometimes exclusively) defense/utility and have a greater amount of mobility, generally tied to initiation or peeling actions. As far as other juggernauts go, Olaf, Shyvana are the next two we’re planning on looking at. Yorick’s arguably a juggernaut, he’ll get a full relaunch though. Volibear could be described as a juggernaut, though he’s also got some diver and tank bits to him. Mundo also shares some juggernaut characteristics, but doesn’t really match overall (which is fine, we’re looking to use these descriptions as ways to map similarities and differences between champions, not because every champion has to be forced into a specific category). ‘Juggernaut’ is a term we’re using to talk about a type of champion that’s pretty much always been in the game. We haven’t previously put enough time into identifying their strengths, weaknesses, item needs, role in lane, role in a teamfight however, so we’re doing some of that work now. We chose juggernauts as a group to focus on because we felt they needed the work the most. Next step’s going to be follow up work post 5.16 release (balancing if we’re off on power, adjusting mechanics if some of our theories get proven wrong etc). We’ll then assess how successful this work was or wasn’t and use that to help inform how we tackle other characters. Â We think juggernaut’s probably the closest description for Shyvana because damage output, and ability to kill enemy champions herself, is a really core part of her identity. She’s happy soaking some damage certainly, but she’s not there primarily to set up/enable her team. Gragas and Cho we’ve been looking at as tank/mage combinations, Trundle as tank (though he’s definitely got some juggenaut characteristics and doesn’t fit the tank mold that cleanly), J4 as diver or tank (definitely not a juggernaut given the amount of mobility on his kit). As in remove his dash and make him more about auto attacking/damage output? Not seeing the Shen+Juggernaut fit sorry, and that’s before looking at thematics too. More tank (stronger CC focus, so more like Sion than like Garen). Seems like something we’d prefer not to touch since it’s such a core part of the character’s identity. If I had to nerf Vayne, it certainly wouldn’t be the first place I’d look to hit. I’d prefer to just nerf her early game or reduce the flat damage component of Silver Bolts, but the percent part of it seems pretty core to the identity of the character. If I had to nerf Vayne’s, I’d probably try to first think about why she’s too strong in the first place. How did she go from someone seen as having a bad early game to someone seen as pretty average in the early game? Though these first few suggestions aren’t directly nerfs to Vayne and have other implications, I’d probably ask why Caitlyn, Lucian, and other historical lane bullies aren’t doing their job to keep her in check. So first, I’d ask why other lane bullies that used to give her trouble aren’t being played anymore, and maybe look into that (though that’s a multi-champion change). Also, I’d probably try to determine what exactly is the issue with her early game. Is her early game actually too strong? Or does the state of the game just more or less guarantee that she gets her late game? This second part can be especially relevant, because it makes less sense to have champions that are so disproportionately strong in the late game if games are tending to go five minutes longer than they used to (not sure on the exact numbers on game length at the moment, to be honest). Base AD nerf and increase AD/lvl. Just a couple Base AD makes a huge difference in early game power. I reduced Nidalee’s base AD when she was a terror in top lane late last season, and she basically disappeared from the lane. Scale her spell damages or cooldowns non-linearly, with the later ranks giving more value than the first. This is unconventional, but there’s no reason we really can’t do it. For instance, if Tumble’s cooldown was only reduced by .5 seconds at early ranks, and 1.5 in the last few (or something like that. Probably a bad idea, but maybe Vayne could have 325 or lower MS and have her passive MS increased. I think one of the things about Vayne is that she’s supposed to be a statement pick, like “I know this champion isn’t good early game, but I’m better than you and can win regardless.” Something like this may play that up, though at the expense of snowballiness. Anyway, just some thoughts off the top of my head. Imo, BotRK rush is generally probably just too strong, especially on champions it synergizes with. These are buffs intended to give power particularly to players who aren’t amazing at Lee Sin. We like that Lee Sin’s got a pretty steep mastery curve that really rewards practice, but it’s a bit too extreme, making it really hard to put him in a good spot balance wise (if he’s balanced in top tier play he’s very weak for the average player, if he’s at least tolerable for the average player he’s probably too dominant in top tier play). They will add a bit of power to competitive Lee Sin play too, we’re looking to avoid too much of a buff there though. Ult now deals damage to people hit by the champion knocked back based off the bonus HP of the champ kicked. If you can Insec well, this isn’t going to be a very appealing play generally. If you can’t however, and are regularly using the ult just to get enemy divers out of the fight for your team this will offer a bit of extra power to try and optimize. Will be some niche cases where it helps out in high level play as well, we expect those situations to be pretty niche though. Energy restore from passive now frontloaded onto the first auto attack (20 first auto then 10 second auto, instead of 15/15). This buff will help out both new and experienced Lee Sin players, expectation is it’ll be significantly more useful to newer players though as they learn energy management and when to weave auto attacks in between spell casts. A frequent source of failure we see from new players is constantly trying to weave in 2 autos per cast, even when that’s a really poor idea or, at the other extreme, running out of energy frequently. Giving people room to learn and grow’s great of course, we’d like to get some signalling in there to encourage people to consider 1 auto per cast more often when they’re first learning though. ‘Balanced for who?’ is one of the questions behind this work. We choose to balance for high level play, with some reigning in of massive outliers at lower skill levels. If the difference in performance between experienced and inexperienced player gets too far out of line however that means we’re forced to make a champion really hard to succeed with and unsatisfying for the average player if they’re to be balanced at high level play. Making a champions skill floor a bit more accessible, without lowering their skill ceiling, is an approach we feel’s valuable as a result, and this work is, in part, an example of that. That’s all potential stuff in testing, so not guaranteed to go live of course, but Lee’s definitely not the only champ we’re looking at in that regard. Yorick’s a champ we believe needs a full kit overhaul, in the same way old Sion did/Poppy does. He’s not in a terrible spot power wise so, given we don’t believe he’s good for the game, we don’t want to add any power to him at this point. If you don’t mind me asking, what is it about him that makes him your favorite character? We’re with you that Fiora seems to be pretty underpowered and are working on a set of buffs for her at the moment. One of those will increase her mobility, overall though at least for a first set of changes we’re looking more to add baseline effectiveness to her. From the look of it we ended up being significantly too cautious about her balance overall. Academy Ahri can joinÂ your local otaku convention for 750 RP. Arcade Riven will be available in store for 1350 RP. Academy Darius will be available for 750 RP. Academy Ekko will cost 750 RP. Academy Vlad will be available for recruitment for 750 RP. 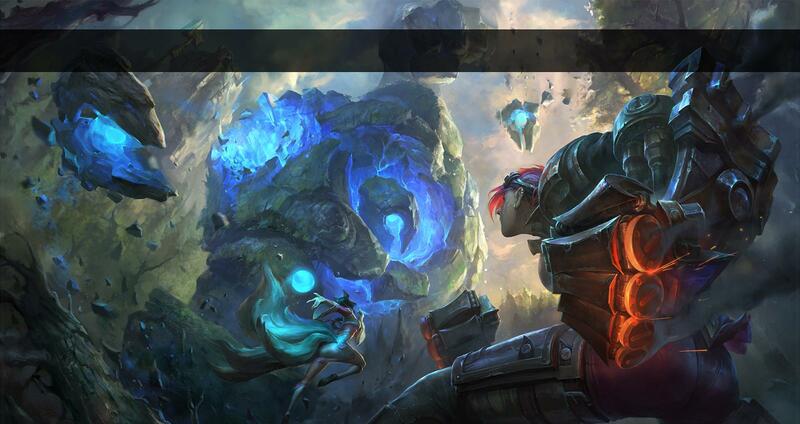 Battle Boss Blitz will be sold for 1350 RP after Patch 5.16 hits live. [New] Bloodrage:Â Darius now enters Bloodrage for 5 seconds whenever an enemy champion reaches max Hemorrhage or dies to Noxian Guillotine. During Bloodrage, Darius gains 40-200 bonus Attack Damage and applies max Hemorrhage to enemies hit. Skarnerâ€™s presence causes crystals to spawn in set locations around the map. Crystals can be captured by either team by standing on top of them. Capturing prevents them from being captured by the opposing team for 10 seconds. While near active crystals, Skarner gains 150 Movement Speed, 35%Â [+5% per level]Â Attack Speed and restores 3% of his maximum Mana per second. Enemies hit by Fracture are afflicted with Crystal Venom for 5 seconds, causing Skarnerâ€™s next basic attack against them to deal 25/50/75/100/125 additional physical damage and stun them for 1 second. In support of the Juggernaut champion changes, we’re releasing a pair of new items – Sterak’s Gage and Titanic Hydra. This thread is a good place for feedback. UNIQUE Passive: Upon taking at least 400 to 1800 damage (based on level) within 5 seconds, gain Primal Rage for 8 seconds. Primal Rage: Grow in size and strength, gaining increased size, +25% additional Base Attack Damage, and a rapidly decaying shield for 30% of your maximum Health. Some quick context: It turns out there’s a ton of ambient AOE damage on the front lines of a teamfight – a lot of ults hit for 500+ and they all tend to come down at once. Sterak’s Gage should help Juggernauts avoid dying by accident in an average teamfight while leaving them able to be killed by focus fire or truly dedicated wombo. UNIQUE Passive: Basic attacks deal 20 plus 1% of your maximum health as bonus physical damage on hit. UNIQUE Passive – Cleave: Basic attacks deal 40 plus 2.5% of your maximum health as physical damage in a cone on hit (the target does not take this damage). UNIQUE Active – Crescent: Your next basic attack deals physical damage equal to 20 plus 10% of your maximum health in a larger cone on hit (20 second cooldown, Cleave doesn’t apply to this attack). Quick context: The Black Cleaver covers spell-based tanky melee champs pretty well, and Trinity Force covers its set of champions amazingly. Titanic Hydra should cover more basic attack-focused Juggernauts with their own option while providing a decent stretch goal for other Juggernauts having a great game to shoot for. Quick note – VFX, audio, and icons are still work in progress. This thread is a great place to leave feedback if you get a chance to test these items. Defensive items right now are in a generally okay place – It’s not great but it’s functional. There are some very high powered items (especially in Armor) but there are also some weaker items (especially in Magic Resistance) that are viable so on the whole – defensive builds as a whole generally reach the amount of power / cost that’s probably okay. However, we’ll be introducing several new defensive items in the 5.16 patch and the existence of these high powered items create a world where any new item has to be almost equally high powered to compete. This necessitates a rebalancing of power across the board such that it can be acceptable of new items being introduced. I suspect that this changelist isn’t going to be particularly exciting – especially compared to AP – but these changes were made to provide an easier environment to balance introducingÂ new defensive items that we’ll be introducing in the same patch. This does have some side effects on low income characters (Support / Support Tanks / Pure Tanks) – and so we’ll likely be looking at base statistic adjustments on the ones that are most affected if we feel like they’re in a terrible spot. TL;DR – Armor items are generally more expensive or grant less armor. Health items readjusted. Magic Resistance is generally cheaper and easier to build. Will be looking at specific support or low-income champions that might be hurt from an Armor perspective. Note: Rescaled the cost of MR to be roughly 90% of Armor. Aura Regen: No longer grants HP Regen as an Aura. Notes: Recipe change was a fairly requested change – however, given the power/size of the item – the recipe change alone would probably favor bruiser / solo tanks than actual support characters. With this general rebalance – shrinking the item’s power and effect also lets us streamline the item path as it’ll be less suited for solo bruiser/tanks and more appropriate to support tanks / pure support who have less inventory slots. Note: Similar to the AP item work – taking the time to sharpen the identity and power of several of these items. While a 5 second low power shield is fairly decent at general defense – it’s not quite enough shield to save someone and somewhat poor at fighting back against a high powered burst spell. Compressing the power and duration of the shield is aimed at pushing the power away from general ambient damage absorption to a more reactive ‘block’ approach. Notes: Nothing to see here. Just general cost / power tuning – as well as some light recipe adjustments. Crystalline Bracer now forks at Veil and Aegis if you’re building MR -or- between RG and Warmog’s if you’re looking for Health. Point Runner: Movement speed maximum reduced to 20% (from 30%). However, Movement Speed now decays over 2 seconds instead of instantly dropping off when you leave the proximity of a tower. Notes: In general, Raptor’s Cloak was pretty good at one or two specific scenarios (dancing) – however, the usability tuning of it frequently meant it was pretty inconsistent in a lot of other things. While this isn’t the core problem with the item – doing some light tuning passes here to improve some of the usability around this item. Point Runner: See Raptor Cloak. Void Spawn Health Decay: Is now a % of their current health rather than maximum, minimum of one. This effectively doubles their health (and roaming range!) but greatly reduces their effective health at all points. Void Spawn Gold Counter: Now shows you how much gold you earned from Voidlings. Empowered Void Spawn: Empowered Voidlings now scale off 15% of your maximum HealthÂ rather than your resistances. Notes: Some cleanup and adjustments on ZZ’Rot Portal – mostly for usability. While the range is ‘doubled’ – the health of the voidlings is lower at any given point – so poor placements of ZZ’Rot will still get you voidlings when you properly support them but at generally far lower health pools. Notes: So Frozen Heart is one of several main defensive item outliers in terms of just raw power and efficiency – so we’re going to tone that down by quite a bit as, compared to other items – the effective power to cost ratio was incredibly high. If you’re under the effects of a negative % decrease in Armor – Thornmail will ignore it for the purpose of calculating bonus damage. However, flat decreases and shreds that cancel our your innate % increases (For example, Malphite vs. Garen) – will impact the damage of Thornmail. Crit Damage Reduction: Now reduces critical strike damage taken by 10%. Slow Active: Duration no longer scales off Armor and Magic Resistance, instead it will always slow for a flat four seconds. Notes: Randuin’s Omen is probably one of the more ubiquitous items in the game in terms of general purpose strength. Since we’re adding several items that try to do slightly different things – sharpening Randuin’s Omen to be a more dedicated ‘Oh god, crits are murdering me’ item seemed appropriate. However, this is overall intended to be a moderate nerf to the item. Passive Changed: Grants Warmog’s Heart if you have above 3000 life. Warmog’s Heart restores 3% of your maximum life per second when you haven’t taken damage in 8 seconds. Notes: Sharpening items. MORE SHARP. MORE FOCUS. I think we’ve been generally happy with Warmog’s Armor as an anti-siege option for the mid-late game – so we’re kind of tripling down on the concept at this point. 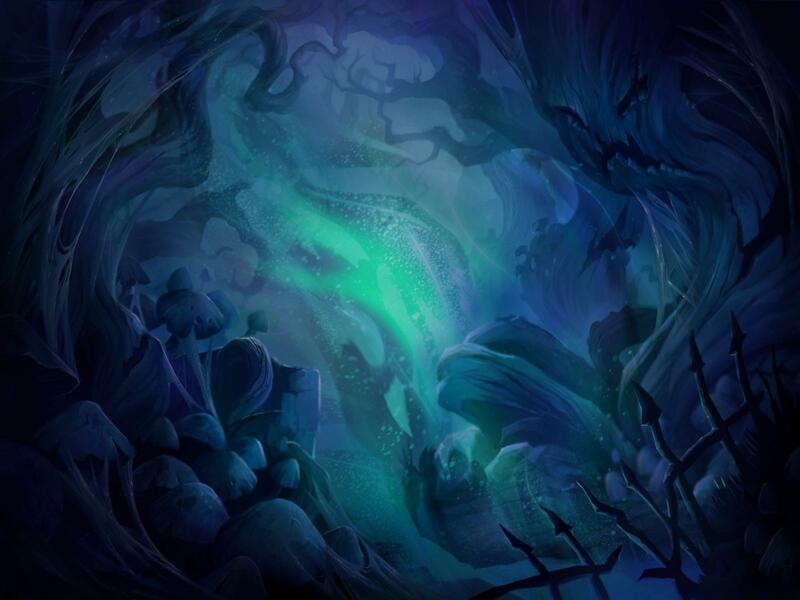 In the late game – recalling and regenerating has roughly similar effects in a winning case – and therefore we’ve decided to push Warmog’s into a space where it is powerful enough to replace the act of Recalling for healing in the late game for character’s that choose to invest heavily into a health route. Catalyst Passive: Loses Catalyst Passive on Upgrade. Notes: Catalyst has two clear upgrades – a rush item (Rod of ze Ages) or Righteous Glory (Team Fight). One of the reasons we’ve tuned down RG over time is that whenever its strong enough to be rushed as first item, we tend to dislike how early skirmishes get decided. Trying some minor experimental stuff to discourage RG as first-pick up by giving it a clear tradeoff from its counterpart – while also making it slightly easier to build later in the game. Notes: This is a minor buff to Cinderhulk’s average case and a nerf to Cinderhulk’s best case late game. While Cinderhulk isn’t exactly a dominant pickup at the moment – it sits in this odd spot of having most of its power devoted to a late game which already has its fair share of powerful effects (Devourer). This change shifts it to be slightly more mid-game focused than its counterparts and should let us better control how much Health a character will have due to the reduced multipliers. TL;DR – Armor is nerfed and more expensive. MR is generally cheaper and easier to build. Health adjusted. Total cost should be similar – but most likely more expensive. Will be looking at some classes for base statistics adjustments to compensate for potential loss in defensive armor.